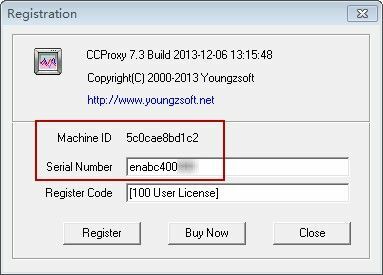 How to Check Serial Number of the Proxy Server Software CCProxy? 1) On the main interface of CCProxy, click the "Register" button. 1) In the installation directory of CCProxy, double-click "CCProxy.ini" (Figure 1-2). 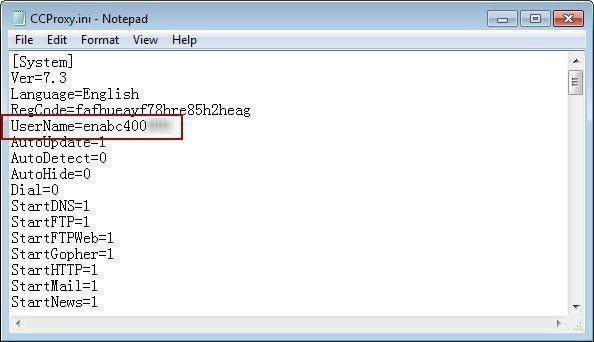 2) In the pop up "CCProxy.ini" notepad, check the serial number (such as enabc400***) (Figure 1-3). 2) We will activate your serial number with guidance of the information you offered.